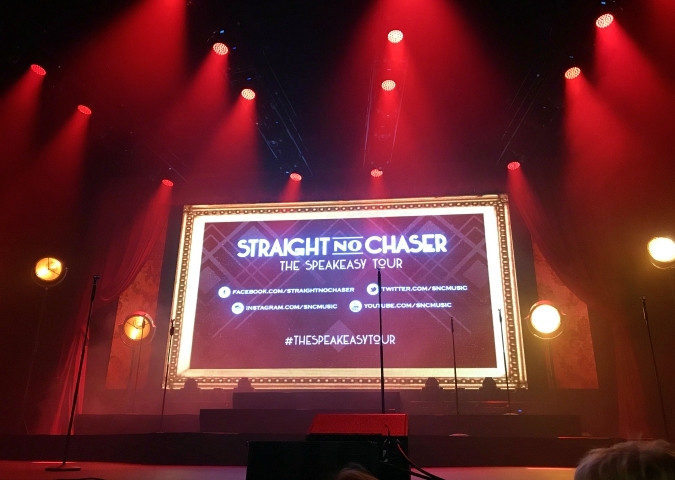 on saturday afternoon, before we celebrated my dad's birthday, we went to see the straight no chaser speakeasy tour at the state theatre in easton. ryan's parents have seen snc in concert before, but we never have, so it was a good opportunity for us all to go together when we found out their tour would be performing so close to where ryan's parents live. i bought the tickets for the show for ryan as one of ryan's birthday presents all the way back in august. ryan's mom picked out our seats which turned out to be in the second row! 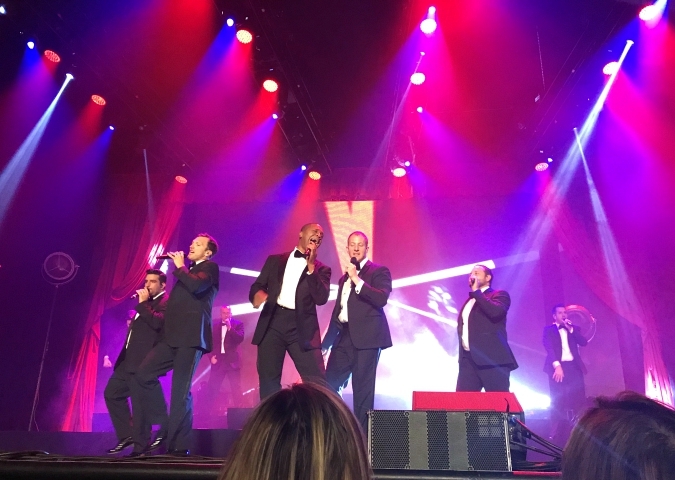 we felt like we were practically sitting on stage with snc! 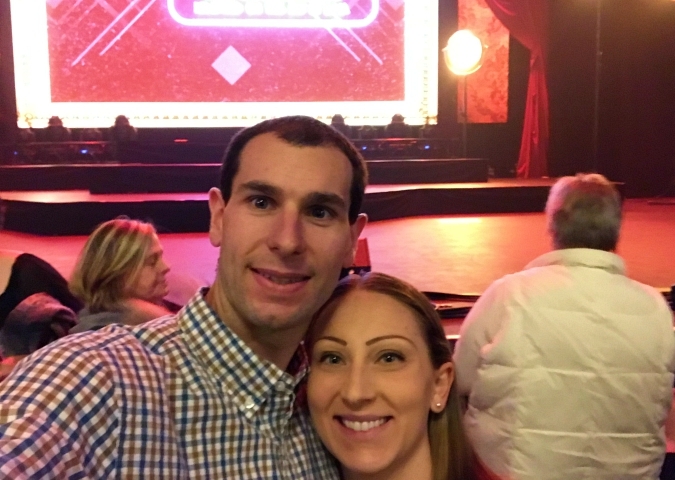 having only ever seen youtube videos of snc before, we weren't sure what to expect from the concert, but we absolutely loved it! 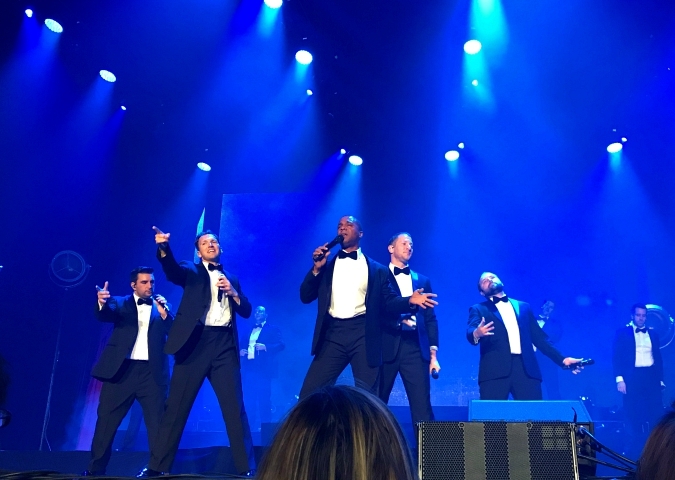 they reminded me so much of a modern day frankie valli and the four seasons. we recognized all of their music and were so incredibly impressed by their talent. 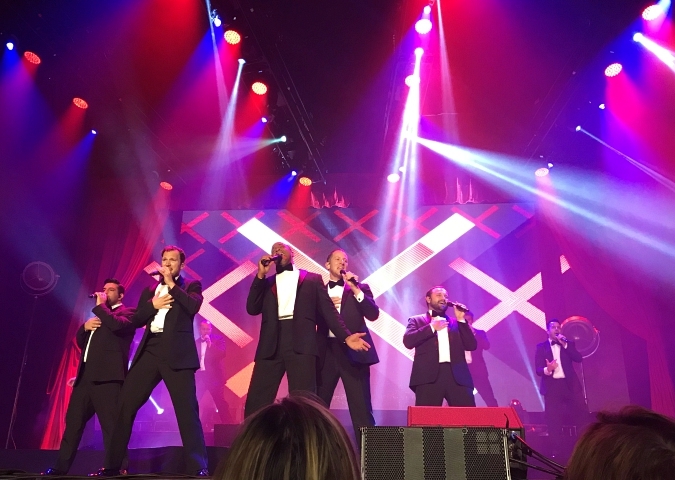 it was easy to forget that we were listening to an a cappella group! a few photos from saturday . 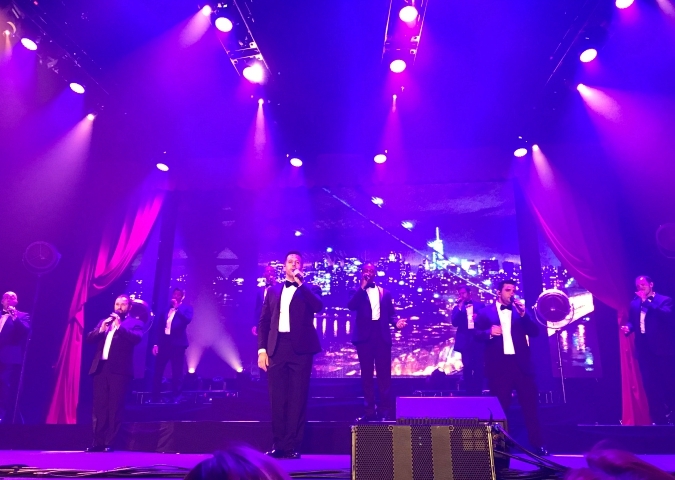 . .
during the show, snc took a photo of themselves on stage with the entire audience in the background. i saw bands do this several times this summer when i was working the outdoor shows at our local concert pavilion. this was the first time we were ever in one of these photos. 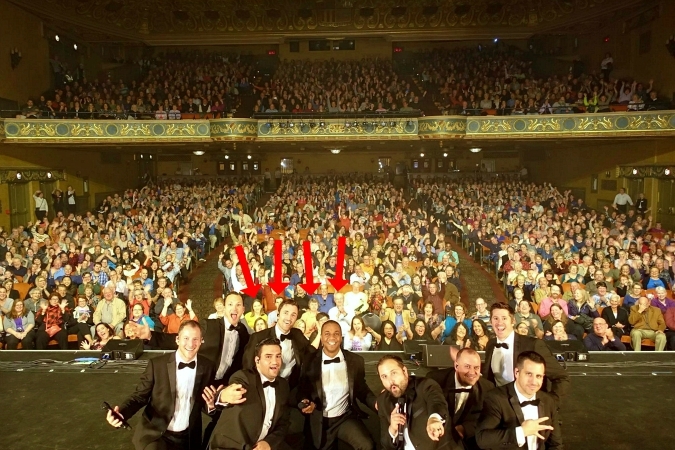 since we were in the second row you could actually see us! see . . .
You really had good seats. That is a clever idea that they take a selfie with the crowd. Sounds like a good show. One day we will see it. If anyone wants to listen to a sample of their music they can Google Straight No Chaser and usually there is a link to a video to watch.